The list could go on and on. One way to get the hyperloop project off the ground could be to follow: Take Back Your Government: A Citizen’s Guide to Grassroots Change by State Senator Morgan Carroll. I will need to remember what action steps it recommends, but it is a citizen/grassroots led initiatives. Also, something that I see Colorado needing is a organization or government body that is like Google X labs. This lab could write up recommendations on future technology that could alter how citizens interact with their government. Right now there isn’t a future technology recommendations body. However, I suppose the universities in colorado make up the advice giving sector. 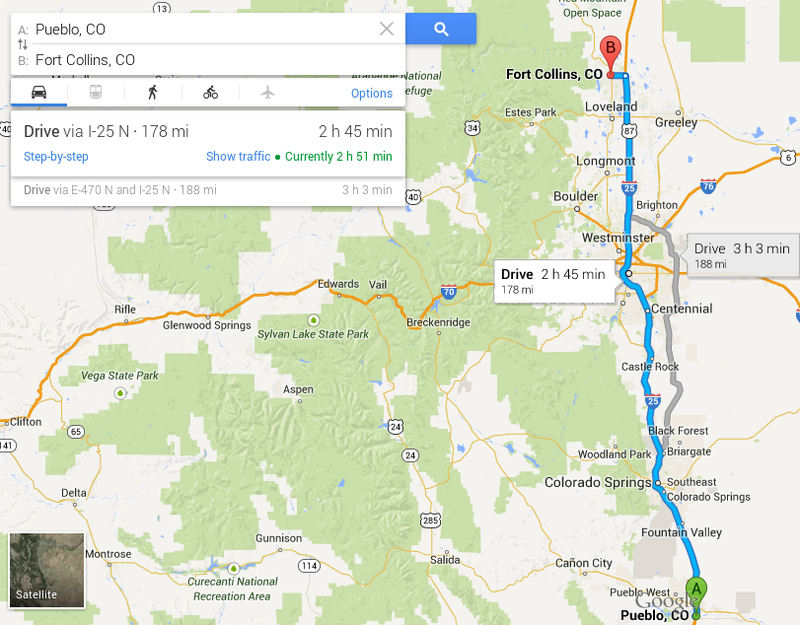 The front range hyperloop or even though the mountains, would be on par with Colorado’s history. “The Georgetown Loop Railroad was one of Colorado’s first visitor attractions. This spectacular stretch of narrow gauge railroad was completed in 1884 and considered an engineering marvel for its time.” It is time for us to make another engineering marvel, its time to make history again. Just read a 9News article about about a near fatality of a pedestrian walking in front of traffic. 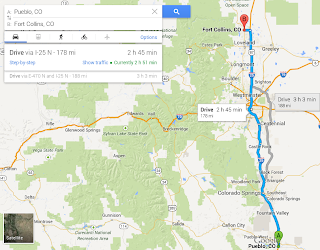 I then Googled and found a Denver Post article about more statistics of traffic vs peditrain vs cyclist casualties. What was interesting to me was that a hyperloop system enables easier further distance travel, but it also might change fatalities for shorter distances. Clearly if a hyperloop system is implemented and it is successful with lots of people using it, it will change the way CDOT and Colorado’s Statewide Traffic Records Advisory Committee work in keeping people safe. However, Currently they do not have the data on Colorado traffic accidents to provide a knowledge guess on how a Colorado Hyperloop system will affect these statistics. The Hyperloop system will force the cities to bulster their public, short distance, transportation options (like bus, lightrail, cycling and walking paths, taxi stands, and other connections like to airports). Hopefully it will also force them to get into collecting data and statistics for e-goverment more efficiently. While physicists agree that technically Elon Musk’s vision for the Hyperloop is possible, economists seem to agree that technically the price tag of $6 billion is impossible. Pneumatic Travel System that is touted by ET3 requires an air evacuated tube to achieve the amazing speeds. While Musks system allows for air to be in the tube system because each transporter depends on air to achieve levitation while in the tube. There are many reasons that having air in the tube make for easier construction and maintenance. So, for Colorado I think Musks system would be better. Plus, we in Colorado are already a mile high, less wind resistance! A hypothetical loop could be along the front range from Fort Collins to Pueblo. 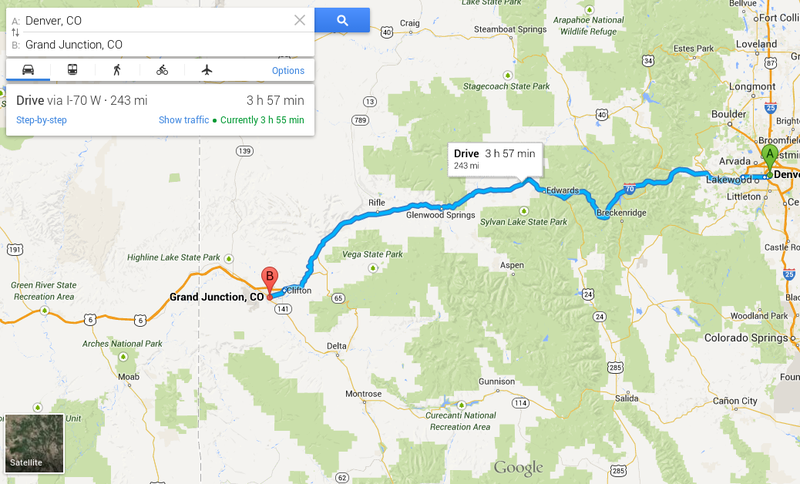 Another loop (but not sure if it is economically feasible) would be from Denver to Grand Junction. Notice that the loop doesn’t go out of state? Current political will probably doesn’t exist in the surrounding states to invest in a hyperloop system(s). Perhaps, when the other state legislatures or citizens see the benefits of having hyperloop systems for emergency care (commander a pod as an ambulance or disaster relief), they will be persuaded to invest in them. So the big question will be where will ET3 plans to test their hyperloop transport system? Colorado? Can the system be both air evacuated and air infused to test both theories? Why hasent anybody made a small scale model to test this stuff out already? Welcome to Colorado Hyperloop blog.Hope this will be a place where people can share ideas and come together to implement a hyperloop system for Colorado. Lots of news yesterday of Musk’s announcement as well as other news articles from all over discussing the roots of the hyperloop system starting in Colorado with et3.com . Probably a 300 mph line between Boulder and Denver @wind4me. You do the RTD equation.